A Fabulous Foursome who have performed all over Dorset. They have a unique style and sound singing songs that you will be very familiar with. A great group playing their own instruments. ​They are called "The Originals" because they are the founder members of The Silhouettes. -- Some wonderful songs from this group can be expected. ​A really FUN group who love playing their Ukuleles. Come and listen to the deep sounds of Grand re-Union. A fantastic Group who are all very experienced musicians playing songs from the 60's and 70's. A brilliant Enterteiner who sings the songs of Frank Sinatra....AND Much Much MORE! ​Another chance to see this talented Entertainer. Watch out for all the Frank Sinatra song. "The Voice of Cool Swing" has a great selection of songs. Not to be missed! ​If you're after a really FUN afternoon then come and see this entertaining Group of people. Its Ukuleles+Fun+Laughs! ​A Fantastic afternoon is all lined up for your entertainment! Our final musicial event of the year features the four talented Decadettes. Great songs that you will know. Another fantastic FUN Quiz night is promised! The official opening of the Celebration Arch in the Gardens (Sometime referred to as "The Royal Wave!"). It was a glorious sunny day and lots of people came to the event. This was another FOGG Quiz SELL OUT!! A great time was had by all on the night concluding in a really fun Aluminium Tubes race!! A Truly Mad Hatter's Night .....we even had a White Rabbit there!!!! ​A BIG THANK YOU TO ALL WHO CAME! THE AMAZING CHRISTMAS THEMED QUIZ NIGHT!!! ​We are sorry to report that the afternoon's entertainment had to be cancelled due to inclement weather. A great afternoon was enjoyed in the Gardens as Tony Lowe entertained the audience with his daughter Kate It was a special, one-off fundraising concert. This special performance included Swing, Musical Theatre and show-stopping Classics. A display of metal Sunflowers in the Gardens. A great afternoon of music and laughter! Unfortunately the Fayre had to be cancelled because of really bad wet weather. We are really sorry. Regrettably the performance by Farrago had to be cancelled due to adverse weather conditions. After rain the previous night, the rain continued for most of the day. We are sorry but hope you understand that since our events are outside, we have no control of the weather. ​A delightful sunny time in the Gardens with this great choir. A lovely sunny afternoon brought the crowds in to the Gardens for the first musical event of the year! An Entertaining and hilarious afternoon on the Bandstand. The planned event had to be cancelled because of terrible weather throughout the day. As it turned out the weather did improve and the FOGG Committee went in to the Gardens with Festive drinks and Mince pies in case anyone did turn up!. ---- Well, over 40 of you did!!! -- So we had a good sing-a-long and enjoyed the drinks, food and company. Thank you so so much for coming along. Local Band REPLAY were on the Bandstand with a great selection of well known songs that thrilled the crowds on a hot afternoon. A great afternoon in the sunshine with Entertainer Tony Lowe. Wonderful songs and many we all remember!! The Silhouettes performed with their great selection of songs. The weather wasn't very great but the music was Fantastic!!! Entertainer Darron Garnett performed on the Bandstand all afternoon and pupils from Twirl Academy gave a demonstration of baton twirling. ​It was a great sunny afternoon. Thanks to all who came along. Singer Tony Lowe entertained the crowds in the Gardens with an incredible afternoon of the songs of Frank Sinatra, Buble and Tom Jones and many more! Tony's appearance on Sunday 23 July had to be cancelled due to rain. However he performed on the bandstand on THURSDAY EVENING AT 7PM ON 27 JULY. The Wrens, who this year are featured in the floral design next to the floral clock in the Gardens held a Commemoration Service on 21 July at 2pm in the Gardens. The Deputy Mayor Gill Taylor visited the Gardens as well. Queen Victoria made an appearance and was presented with a bouquet from Katie and her sister presented a bouquet to the Queen's companion the Duchess. The Amazing Weymouth Ukuleleans were on the Bandstand in Greenhill Gardens doing what they do best --- a great afternoon of music singing and laughter!!! Our Annual Christmas Sing Time was held in the Gardens on 4 December 2016 when arounf 70 people came along. A very cold windy afternoon was offset as we gathered in and around the Bennet Shelter. Music was supplied by Lesley Potts and her family and we sang to some delightful Carols. This was intersperced with us all learning a new song "A Christmas Tree, A Christmas Tree, A Turkey Dinner and A Christmas Tree!" -- with actions.Mulled wine and some eats were also provided by FOGG. The Brewers Fayre Lodmoor was the scene of the latest FOGG Quiz Night. Lots of Fun, Easy Questions and a Light Supper...A Good Night!! The fantastic Weymouth Ukuleleans ended a Summer of amazing entertainment in Greenhill Gardens for 2016. The season's entertainment on the Bandstand started with the Weymouth Choral Society entertaining the onlookers. -- We hope they will be back later in the year. Our Quiz Night at the Brewers Fayre Pub proved to be another SELL OUT!....Eighty people came along and we had a great time. Thank you to all who came. Sorry to disappoint those who couldn't get tickets. A wet and windy afternoon greeted the singers this year. BRASS TACKS played from the Bandstand as most folk sheltered by the Seascape cafe. Around 50 joined in the singing and enjoyed the mulled wine and mince pies. In addition to our normal FUN Quiz we had a guest appearance by Entertainer and Singer Darron Garnett. He has appeared in the Gardens and on this occasion he provided musical questions for the second half of the evening and had everyone singing along. He finished the night with some great songs. REALLY BIG THANK YOU TO ALL OF YOU WHO CAME ALONG. The Group provided a fantastic end to FOGG's Summer of Events on the Bandstand. Great weather encouraged the crowd to join in with the singing! ...They'll be back next year!! Singer Tony Lowe took to the bandstand and delighted the crowd with his renditions of many popular songs. Tony performs at many venues and it was good to have him back for his last performance in the Garden this year. A breezy afternoon greeted our Summer Fayre this year. The Tombola, Rabbit Raffle and Cake stalls were busy though and all enjoyed the entertainment on the bandstand. Sadly, rain all day resulted in the Bandstand appearance by The Silhouettes being cancelled. The Decadettes gave a great performance in the Gardens as the sun shone down. Another fun afternoon from the Weymouth Ukulelean players as they packed the Bandstand for a whole load of playing and singing. The afternoon was warm and crowds enjoyed the fun that this great group have as part of their performances. -- The're back in September!!!! The Fantastic Band REPLAY entertained the crowds with their great selection of 50's, 60's and 70's music on the Bandstand. The weather brightened up for most of the afternoon and several hundred people had a great time which included some dancing. MAY 17 -- REPLAY Kick off the Summer's Music in the Gardens! Amazing Local Band REPLAY performed to over 300 people in the Gardens on 17 May. Great weather was enjoyed and this was just the start of a whole Summer of music on the Bandstand in the Gardens. May 2015 -- The Incredible Quiz Night!! Over 80 people packed the Brewers Fayre Function Room to enjoy another great Quiz Night. Tickets sold out well in advance and a huge amount of fun was had. Thanks to all who supported the event which raised funds for the Gardens.-- The winning team was Bab Cooper's but all the teams came out with some great scores. ....Plus a fantastic and rousing version of The Grand Old Duke of York!!! We held our AGM at the Brewers Fayre Lodmoor Pub on 24 April. The existing FOGG Committee were all re-elected. Chair Trevor Collins gave an account of the work of FOGG over the lat year and indicated the future projects that we were looking to complete. The Accounts showed a balance at the end of the financial year of £3775.15. The evening finished with a talk and presentation on "The History of Weymouth" by Stuart Morris. Well over 100 people enjoyed Mulled Wine and Mince Pies in the Gardens as they sang along to some favourite Carols. Musicians Brass Tacks played on the Bandstand as the light faded and darkness took over to create a very evocative atmosphere. November 2014 -- The Amazing Quiz Night! Another Sell Out Event saw The Function Room at The Brewers Fayre Pub packed with Quizzers for a Fun Quiz Evening. Almost £500 was raised and a great time was had by all.-- Thank you to all those who came along. Versatile guitarist and Singer Dennis Melia was back on the Bandstand with his unique range of songs. Entertainer Tony Lowe made a welcome return to the Gardens. He sang his favourite numbers from his great repertoire of songs made famous by Frank Sinatra. The fun members of the unique Weymouth Ukulelean Band performed on the Bandstand this month. They were making a return visit to the Gardens after their debut in June this year. Rita Barrington made a return visit to the Bandstand in the Gardens to sings songs made famous by Marie Lloyd from the late Nineteenth and early Twentieth Century. Dressed in a stunning red dress from the period she entertained many onlookers including Weymouth & Portland Mayor Kate Wheller who came along with her grandson. She was accompanied by James Crawshaw on keyboard. Great local group The Silhouettes entertained on the Bandstand at a Weldmar Hospice organised event. The remains of Hurricane Bertha had a dramatic effect on our planned Summer Fayre in the Gardens. The morning weather was blustery and rainy and although the sunshine appeared in the afternoon the main activities had to be cancelled. Performances by Switch Saxophone Quartet and singer Tony Lowe could not take place. The wind was such that playing on the Bandstand would not have been possible. We do apologise to all our supporters who came along. We did provide a Cake Stall which sold out and had the draw for the winner of the 6foot Banana. Singer Tony Lowe entertained the delighted onlookers in the Gardens with an afternoon of singing. With a Sinatra voice he naturally ended with "My Way!" Rita Barrington sang the songs of 'Marie Lloyd' in the Gardens with Pianist/Singer Aimee Brown providing extra musical treats for the first half of the afternoon. Then singers, Ronnie, The Duke and Georgie finished off the afternoon with individual and group performances. Local Band REPLAY entertained hundreds of visitors and locals in the Gardens. They played on FOGG's new bandstand and had some of the crowd up dancing. The weather was hot with just a slight breeze and FOGG's Committee Members oversaw the Tombola Stall. Our Annual General Meeting was held in the Gardens when we heard Reports by Chair Barbara Dubben, Treasurer Tim Spooner and Committee Member Graham Dubben about the Bandstand. 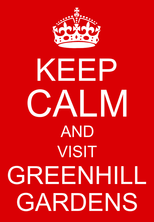 Member Malcolm Lacey gave us the up to date position about the Group "Community of Greenhill." The amazing Weymouth Ukulelean Band performed on the Bandstand in Greenhill Gardens for the first time. About 200 people listened to the singing and playing of this new group. The weather was great and we hope that they will be back to entertain on another day. Blue skies and briliant sunshine greeted the crowds who came to hear the music which was perfromed on our new Bandstand. Local group REPLAY where on stage for most of the afternoon and they were supported by a singing trio, The Decadettes. Up to 500 onlookers made it the biggest event that FOGG and Weldmar Hospice have jointly hosted. A fantastic Night with Rita Barrington as she celebrated The Good Old Days performing as 'The Queen of the Music Halls' Marie Lloyd. The first half entertainment was provided by Iain Campbell with a Mini Quiz and some fun. Sadly our Christmas Carols in the Gardens had to be cancelled. Driving rain and wind coupled with a very grey day were not conducive to singing Carols. Five Members of the Committee were on hand to supply Mince Pies to anybody who did however turn up. October 2013 -- The Spooky Halloween Quiz Night!!! The Function Room at The Lodmoor Pub in Weymouth was decked out with Spooky paraphernalia......witches, spiders, cobwebs, cauldrons and a skeleton greeted the Quizzers on their arrival. They were asked to make and wear a Spooky Hat for the evening....and many people did. Two prizes were given to the Spookiest!! -- It was another FANTASTIC evening of Easy Questions, Fun and Food....Thanks to all who came and well done to the FOGG Team who organised it and the staff at The Lodmoor Pub for the venue and food. The beautiful weather continued for Weymouth carnival. Visitors to Greenhill were treated to a magnificent view of the Red Arrows and lined up along the road for the start of the carnival procession. 2. Music from SWITCH SAXOPHONE QUARTET --- SWITCH have performed at Windsor Castle and The Goodwood Festival of Speed this year. 3. Presentation of Green Flag Award with Gardener Carl Sergeant. A Cake in the form of the Green Flag was kindly supplied by Ian Gill of Arty Party Cakes of Lodmoor Hill Weymouth. Fantastic local group "REPLAY" performed to record breaking crowds in the Gardens. A glorious afternoon was enjoyed by locals and visitors and temperatures soared and ice-creams and drinks were the order of the day. "REPLAY" performed on the new bandstand base and we all loved their performance.They have a wonderful local reputation for great sounds of the 60's 70's and 80's. FOGG's Tombola Stall and bucket collection made record breaking amounts as well. At Weymouth Bay Methodist Church, Melcombe Avenue, Weymouth. FOGG were with The Friends of Lodmoor and Weldmar Hospice and we all had Table Top Bargains of various kinds. Well, many people came, the sun shone and sales were made. Local Group REPLAY played in the Gardens at an event organised by Ray and Penny at The Seascape Cafe. The weather stayed fine for our afternoon in the Gardens. Not a huge number of children took part but 6 lucky children won prizes. Well done to all who were there. May 2013 -- Latest Developments in Greenhill Gardens and AGM! Another super FUN Night was enjoyed at The Lodmoor Pub. Well done to all the teams who scored really highly!..Watch out for the next one in October! As usual this was a SELL OUT and another fantastic Night. Thanks to all of you who came and enjoyed the fun! This was a really lovely afternoon of carol singing on a chilly afternoon in the Gardens. Mulled wine and mince pies were enjoyed by all....Mmmmmmm delicious........... and some great voices were heard. Thanks to all who took part. The Brass Band "Brass Tacks" supplied the the music for the event. Regretably the Halloween Party in the Gardens had to be cancelled because of really bad weather. We are so sorry to disappoint you but it was just not an afternoon for a Party at all. -- Because it was a late cancellation a number of parents and children did turn up. FOGG Committee Member Graham Dubben was there to greet them and everybody left with a Halloween Prize.-- Whooopppeee!!!! A Fantastic packed out Quiz Night at the Lodmoor Pub Weymouth...These are such great Fun..watch out for the next one!!! !